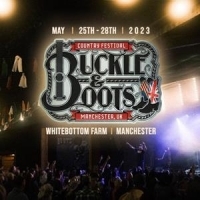 Buckle and Boots is a Country music festival, based in Stockport, Greater Manchester. The festival was established in 2017 with the aim of showcasing UK talent alongside chart-topping US Country stars. The 2017 event featured Sarah Darling, Gary Quinn, Jenn Bostic, American Young, Laura Oakes, Dylan Jakobsen, Elles Bailey, Kira Mac, Kris Barras, Jess And The Bandits, Sonia Leigh, Tucker, Luke & Mel, Outlander, Katy Hurt, Thorne Hill, Fred?s House, The Southern Companion, Jade Helliwell and more.